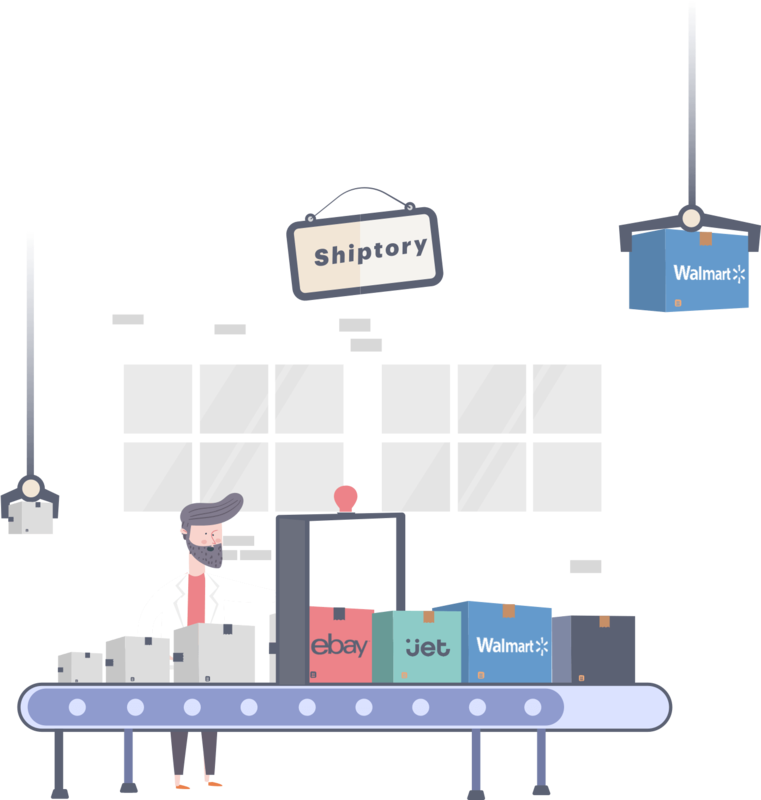 Shiptory – An online shipping and inventory management software. including Amazon, eBay, Walmart and more. Save time and money with the most powerful shipping software to get the best discounted rates and print labels in a Snap! 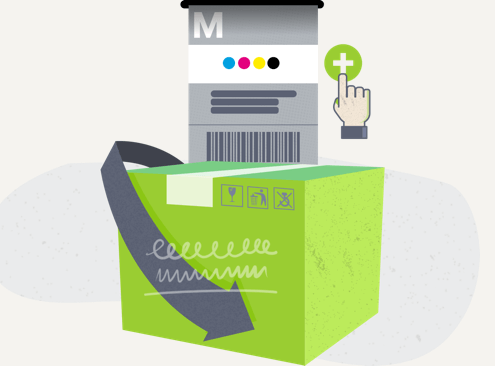 Save time on label creation by shipping orders based on shipping history and preferences. 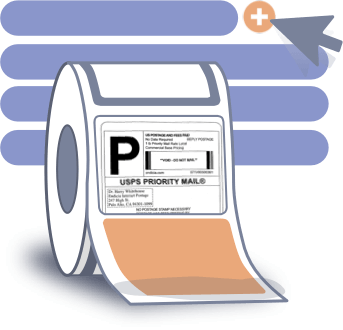 Print return labels with one click. Get discounted rates for return labels. See all available shipping services. 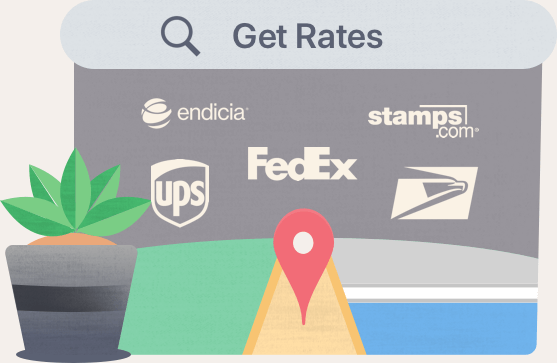 Get actual rates for your parcel. Print labels for multiple orders. Reprint all batched labels with a single click. 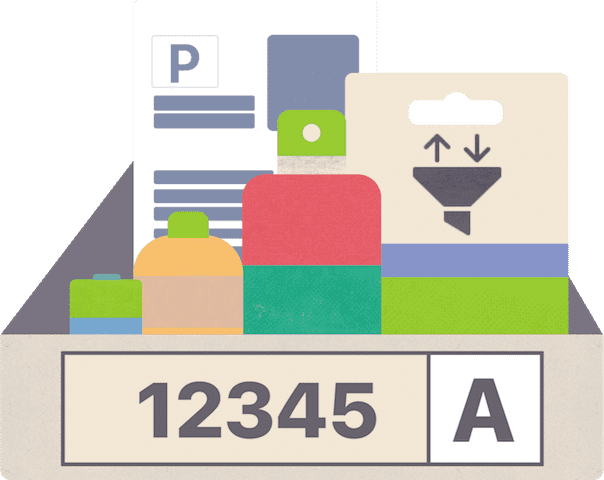 Sort and print labels by bin location and quantity. Pick and pack items in less time. 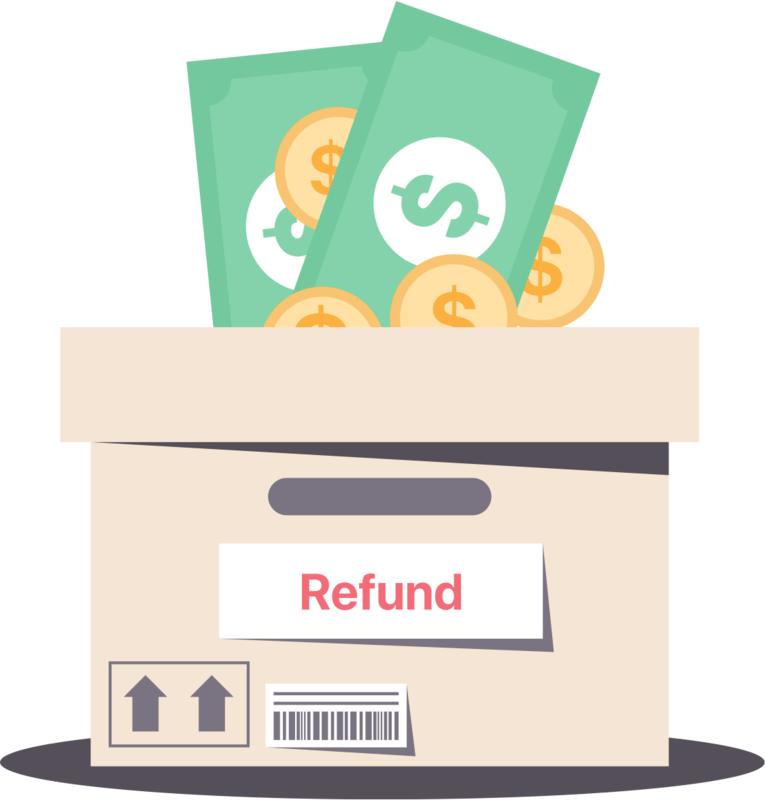 Get easy refunds for unused labels. Track refunded shipments in history log. Hassle-free customs declaration. 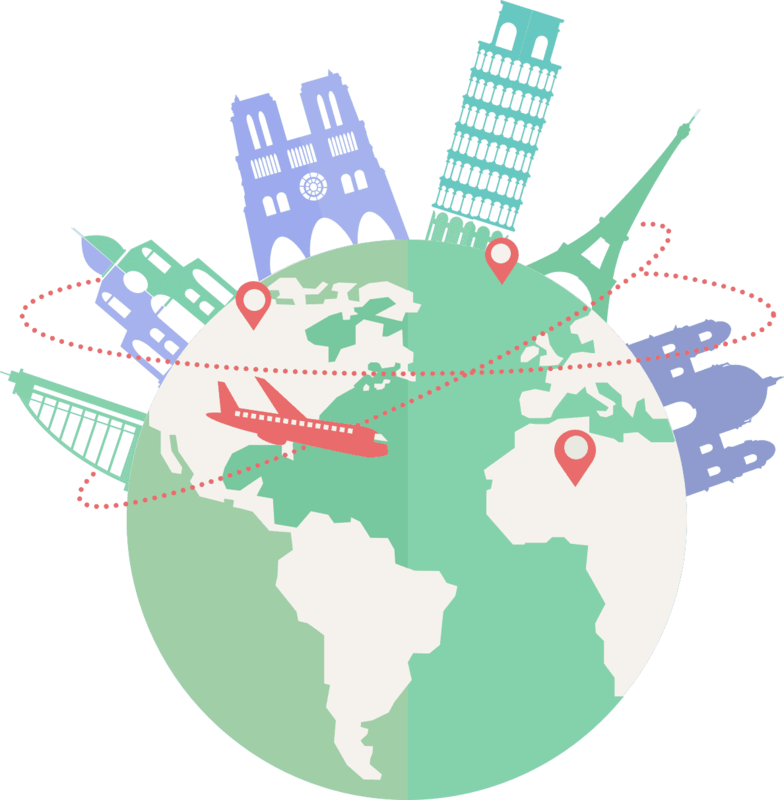 Ship items internationally and extend your business. 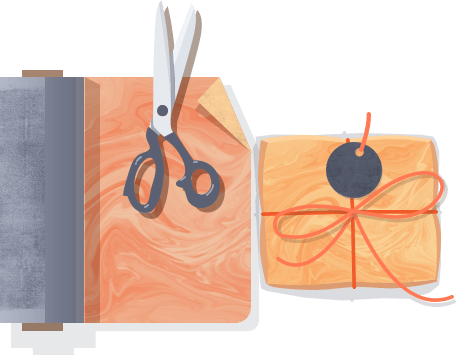 Split an order’s items into multiple shipments. Send products according to stock availability. Keep Inventory updated automatically in order to grow your business with a cloud-based warehouse system. Track your products from the time of receiving to the moment of ship-out. Bundle multiple items together to sell as a single product. Count and deduct bundle components when shipping out from inventory. Easily track your sales performance. Get alerts of low-stock products and prevent stock-outs. 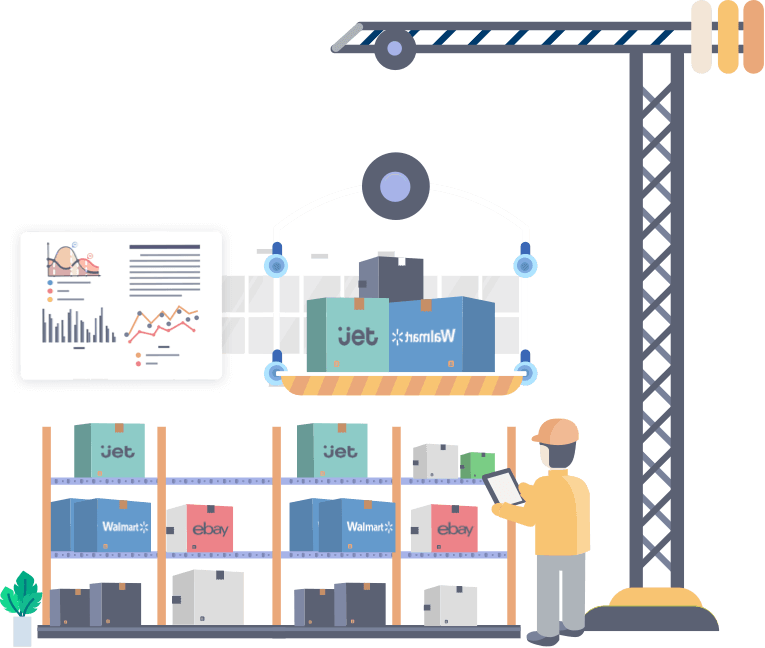 Create multiple warehouses and control stock movements efficiently. Shiptory calculates item costs based on the moving average cost approach. Reserve items as you receive orders. Update inventory counts once orders are shipped. Monitor and modify all inventory movements. Audit your inventory movements based on users. 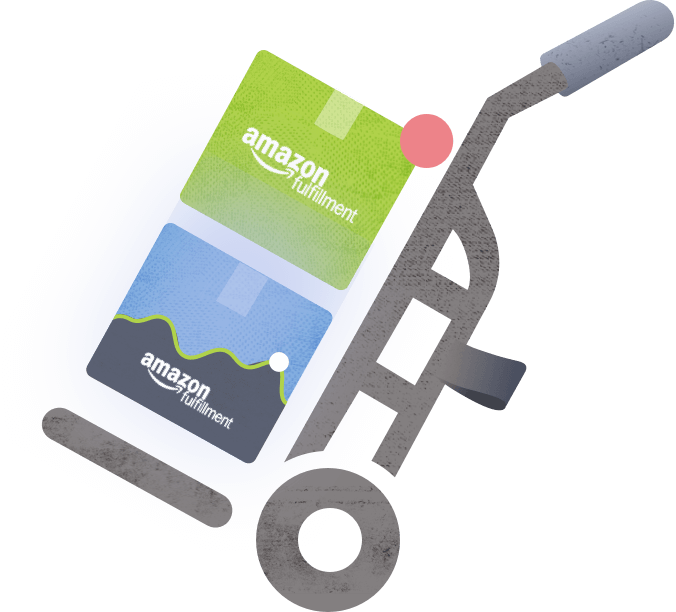 Everything you need to see in your Amazon FBA inventory with powerful monitoring. Track your products on all listing in real time. View inventory movements as inbound, in transfer. Avoid loss of sales opportunities due to delayed item replenishment. Monitor your sales volume against your inventory level. 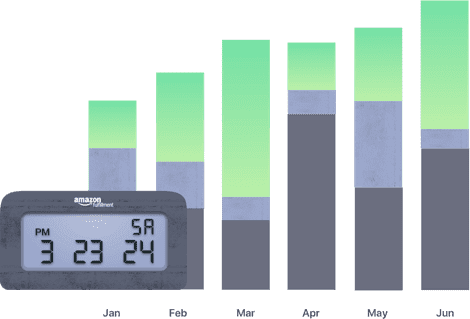 Check sales velocity for customized date ranges. Prevent stock-out gaps with easy monitoring. Get more organic sales by keeping items in stock. Get notification for restocking of low-stock items. Be ready for increased sales volumes. 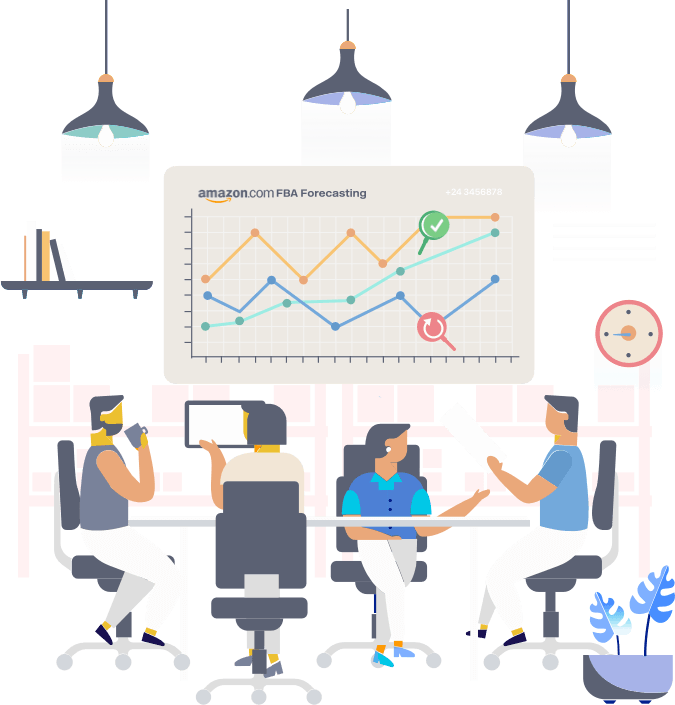 Scale your business with advanced FBA inventory monitoring. Customize your FBA inventory grid according to need. Be aware of low-selling items in Amazon warehouses. Keep in stock only best-selling items to avoid long-term storage fees. Have clear overview of inventory. 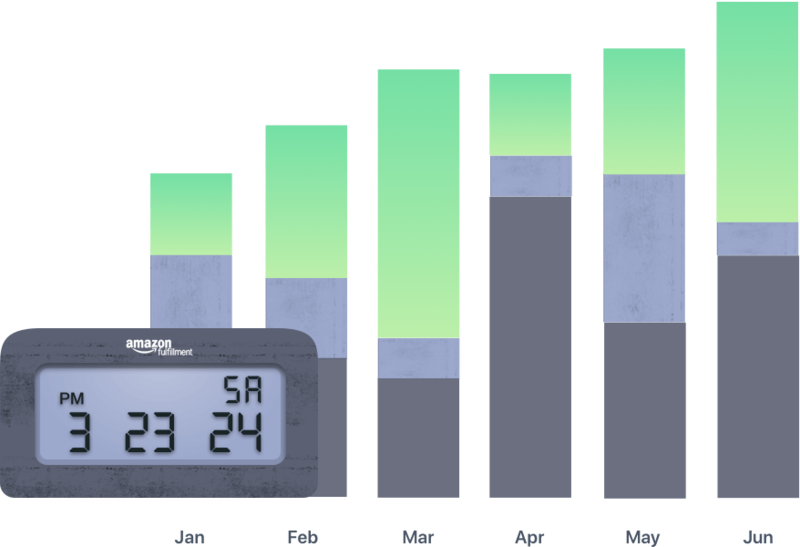 Overview of sales history and projected depletion time to prepare for uninterrupted sales. Prevent your listings from being labeled as ‘unavailable’, lose top ranking status. Join the many leading companies that look to Shiptory to improve their business outcomes. Get the latest news from the Shiptory Team sent to your inbox. Learn about topics, such as e-commerce, online shops, shipping, and inventory management, with practical solutions on a variety of issues in the online business sphere. 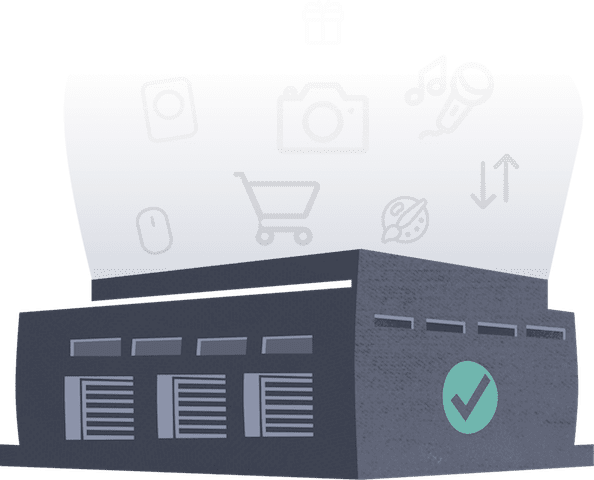 Our mission is to continuously offer our customers the most practical web technology to organize and process marketplace and e-commerce orders. We make it possible to subscribers at all expertise levels to manage product orders they have sold online with an automated and user-friendly interface. Shiptory is an innovative software development firm with experience in e-commerce, online marketplaces, and product development. 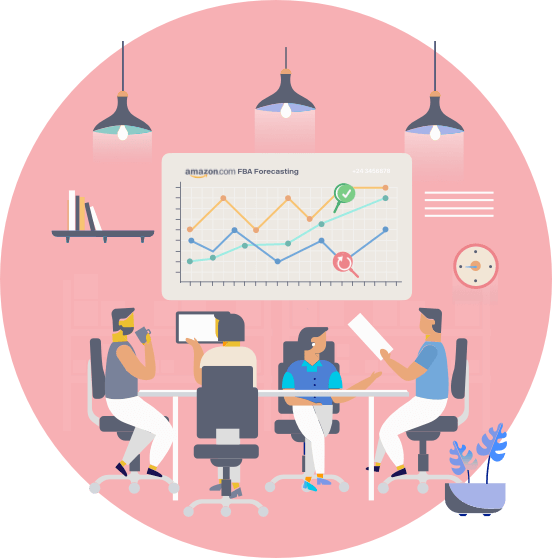 We specialize in the US market and give consulting services to individuals and firms that want to build online management systems in the region. 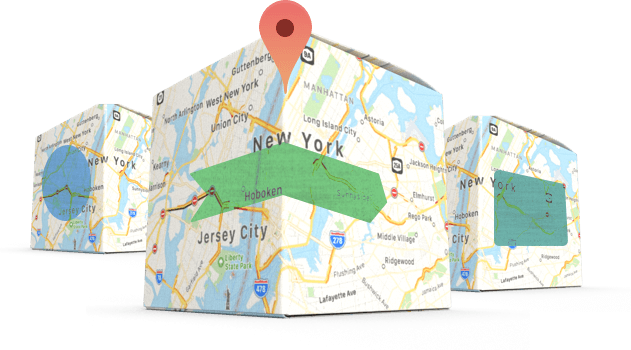 Shiptory is located in Hackensack, New Jersey with subscribers from all over the country and in-house consultants in the Greater New York City area. Our flagship product is also named Shiptory. It is an easy-to-use order, shipping, and inventory management application for e-commerce professionals. It is the first software in its kind to integrate a superb order management system with an agile inventory management structure, which results in seamless and efficient work flows across the entire operation. The application was created by us professionals with many years of hands-on experience in direct e-commerce, marketplace brands, and multi-carrier logistics. 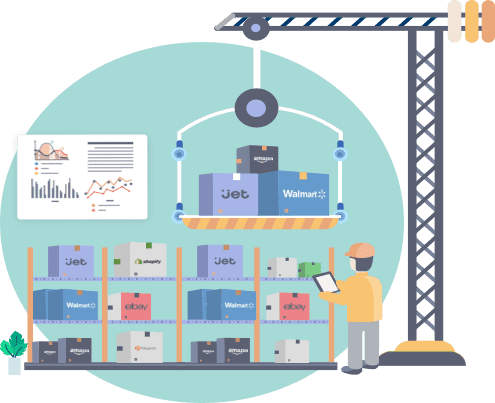 With a simplified approach, Shiptory connects you with major sales channels (Amazon, Walmart, Jet, etc), processes orders, guides you to list products, track shipments, and organize your warehouse inventory in the most effective and efficient way. You can create inventory on the fly while listing a product in your marketplace, link products with simple clicks to create bundles, and customize your labels to include content information – all saving you time and money. Shiptory will periodically give you updates on important milestones and developments as they appeared on official gazettes, government publications, or national/regional media on this page. For inquiries, please use the contact form or reach out via email. We will be happy to assist. Shiptory has filed for a trademark on November 21, 2017 with the USPTO Serial Number 87693150. See trademark on USPTO website. Shiptory to launch the beta version. Many personally identifiable information we collect comes directly from users who are interested in obtaining various products and services through the Website. 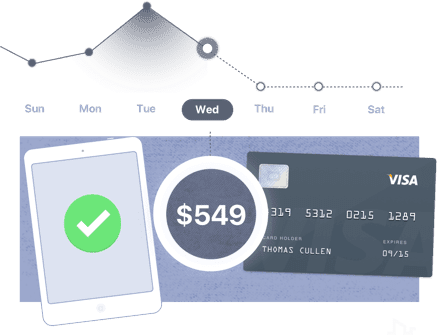 Typically, this information includes your account name, e-mail, mailing address, credit card and billing information, and marketplace credentials from users. We may also collect other information which we may associate with personally identifiable information. We collect such information that are personally identifiable when you log on, register or visit the Website, as well as when you participate in activities on the Website, like completing a user registration form, placing an order, creating an address book, using our Shopping, filling an online survey, participating in a rebate offer, promotion, contest, sweepstakes or game. We collect some non-personally identifiable information through technology to make the Website more useful and interesting to you. For example, when you visit the Website, we collect your Internet Protocol “IP” address; which is often connected to the portal through which you enter the Internet, like your Internet service provider. Ordinarily, your IP address cannot be personally identifiable with you. Sometimes, we also use Internet Protocol “IP” addresses to gather information relating to the frequency and rate with which our customers visit and use different parts of the Website. However, we may combine this information with personally identifiable information as described above. The Website uses other variety of technical mechanism for tracking purposes, as well as web beacons. Web beacons as well are small pieces of data that are stored in images on the web – pages of a website. 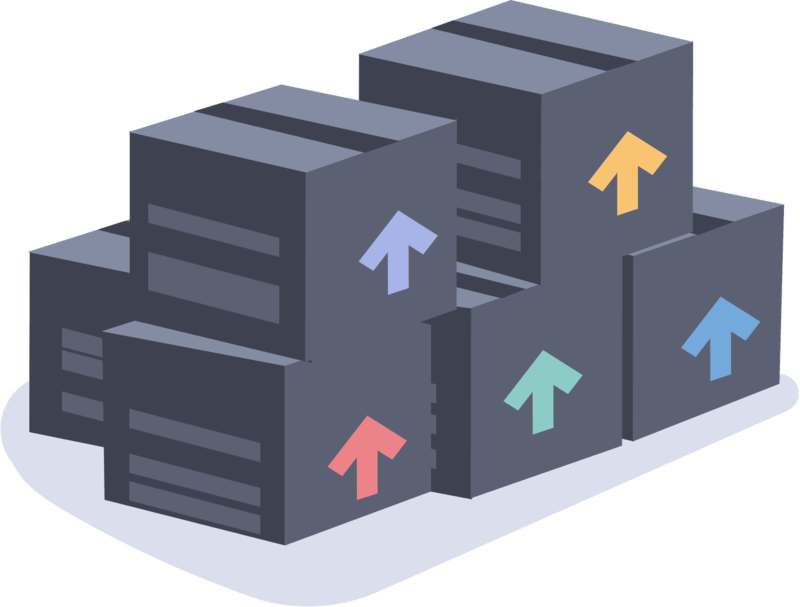 We may use web beacons to analyze and check the traffic patterns on the Website, like the frequency with which our users visit and use various parts and pages of the Website. These mechanisms may involve the transmission and transfer of information either directly or indirectly to another party accredited by us to gather such information on our behalf or to us. Other uses as explained in this Policy. Your email address may be utilized by us or any parent, subsidiary or other corporation into which we merge or is otherwise sold or acquired, in part or whole. 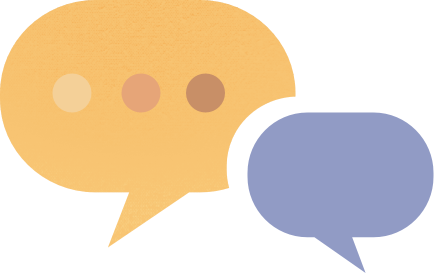 If you choose the option to use our referral service to inform a friend about our Website, we will request you for your friend&apos;s name and email address. We will spontaneously send a one-time email to your friend inviting him or her to visit our Website. Irrespective of any opt-out choices of information that you make, we reserved the right disclose personal information when we believe in good faith that such disclosures or sharing (i) are required by law, for instance, to comply with a subpoena, or a court order (ii) will help to enforce our Terms and conditions; enforce contest, promotions, and/or game rules; protect your security or safety, including the security and safety of your property and/or, protect the security and safety of our Site, SHIPTORY LLC, other website users and/or third parties, including the security and safety of the online community at large. SHIPTORY LLC does not sell, rent, share or lease your personal information to third – party marketers for commercial purposes without your express consent and approval. If this policy changes in future, we will endeavor to post a notification about such changes to the Website. You have the right to opt-out (or refuse to give us), your consent to use your personally identifiable information for receiving promotional and commercial materials from us, from our Affiliate, Subsidiary and Parent Companies. You can do this through the Privacy Settings of your account or by emailing or writing SHIPTORY LLC, Inc. using the contact information provided on the website or using the “unsubscribe” option that comes with promotional emails you receive from us. The confidentiality and security of your submitted or collected information are of paramount importance to us. We have put in place administrative, physical and technical security procedures to protect and safeguard your information from unauthorized access and inappropriate use. Occasionally, we do review our security procedures so as to consider suitable and new technology procedures. However, kindly be aware that no method of transmission or data transfer through the Internet, or method of electronic storage, is completely safe and secure. Therefore, while we try every commercially possible best to use acceptable means to safeguard and protect your personal information, we cannot completely guarantee its absolute security. Although, we encrypt all credit card information in a way that isn&apos;t accessible through the Internet. Also, internally, we take extra security measure and caution to limit access to customers&apos; information. Only a few staffs within the company are given permission to access to customers&apos; personal information strictly according to the necessity and job function. If you have any concerns, observations or questions about safety and security of the Website, you can send us an email at info@shiptory.com. You can access and update the contact information or order information you submitted to us during registration (like your email address, postal address, or any other information) by doing so through My Account settings of your profile. You can also add a new credit card or shipping information to your account for order payment purpose. We do not intentionally collect personal information from, or sell products for persons under the 18 (Eighteen) years of age. Any children related products for purchase should be done by adults. Do not submit any information to us, or purchase any product from this Site, if you are under the age of 18 (Eighteen) years. Shiptory has partnered with marketplaces, shopping carts, and shipping carriers utilizing the latest API integrations resulting in seamless connections and flow of data. Information to and from our partner organizations is handled securely, enabling all sellers to conduct business with confidence. Your satisfaction and ease of mind is very important to us. We will be there for you at every step if you need help and guidance. Shiptory is always on the lookout for talent that improve on its flagship software or can be part of new projects that make an impact. Please see below the current openings. If you think your profile matches with any of the positions that we have posted, fill out the form and send it to us. An associate will contact you if there is a match on our side. Don’t see the position you are looking for, please send us your resume using the subject “General Application” and we will keep it on file for future considerations. Thank you for your interest in Shiptory. THIS PAGE (TOGETHER WITH THE DOCUMENTS REFERRED TO ON IT) CONTAINS THE TERMS AND CONDITIONS OF USE OF “SHIPTORY BETA SOFTWARE” TO BE ACCEPTED BEFORE USING OF ANY “SHIPTORY BETA SOFTWARE” ONLINE AND/OR AS A WEB APPLICATION. PLEASE READ THESE TERMS AND CONDITIONS CAREFULLY BEFORE USING ANY SOFTWARE ON THIS WEBSITE AND/OR SERVER. YOU SHOULD UNDERSTAND THAT BY USING ANY SOFTWARE ON THIS WEBSITE, YOU AGREE TO BE BOUND BY THESE TERMS AND CONDITIONS. THESE TERMS AND CONDITIONS CONSTITUTE A LEGAL AND ENFORCEABLE CONTRACT BETWEEN YOU AND SHIPTORY LLC. IF YOU DO NOT AGREE TO THESE TERMS AND CONDITIONS, ABANDON THE REGISTRATION PROCESS AND DO NOT INSTALL OR USE “SHIPTORY BETA SOFTWARE”. 1.1 Your use of the SHIPTORY Beta Software is governed by these terms and conditions (“Beta User Conditions”) which you should read carefully before using SHIPTORY Beta Software. These Beta User Conditions represent a binding contract between SHIPTORY LLC and you. If you do not agree with these Beta User Conditions, please do not subscribe or use SHIPTORY Beta Software. 1.2 SHIPTORY Technologies may update or amend these Beta User Conditions at any time. SHIPTORY LLC will communicate such changes to you via the email address you provided at subscription. 1.3 These Beta User Conditions apply to you regardless of how you have accessed the SHIPTORY Beta Software and regardless of the territory in which you live or conduct business. 2.1 Although utilizable by experienced users, SHIPTORY Beta Software in all its forms is still being developed, tested and evaluated. SHIPTORY Beta Software has not been released for sale, distribution or any use by the general public. 2.2 SHIPTORY BETA SOFTWARE IN ALL ITS FORMS (WEB OR MOBILE APP) IS PROVIDED TO YOU "AS IS" WITHOUT WARRANTY OF ANY KIND, EITHER EXPRESSED OR IMPLIED, INCLUDING, BUT NOT LIMITED TO, ANY WARRANTY OF MERCHANTABILITY, NON-INFRINGEMENT OR FITNESS FOR A PARTICULAR PURPOSE. USE OF SHIPTORY BETA SOFTWARE IS ENTIRELY AT YOUR OWN RISK AND MAY VOID WARRANTY ON YOUR PRODUCT. SHOULD SHIPTORY BETA SOFTWARE PROVE DEFECTIVE, YOU ASSUME THE COST OF ALL NECESSARY MAINTENANCE, SERVICING OR REPAIR. IT IS THEREFORE YOUR RESPONSIBILITY TO TAKE ADEQUATE PRECAUTION AGAINST POSSIBLE DAMAGES RESULTING FROM THE USE OF SHIPTORY BETA SOFTWARE. SHIPTORY BETA SOFTWARE SHOULD UNDER NO CIRCUMSTANCES BE USED ON SENSITIVE AND/OR VALUABLE DATA. IF YOU ARE IN ANY DOUBT, PLEASE DO NOT INSTALL AND/OR USE SHIPTORY BETA SOFTWARE. 2.3 TO THE MAXIMUM EXTENT PERMITTED BY APPLICABLE LAW, SHIPTORY TECHNOLOGIES WILL NOT BE LIABLE TO YOU FOR ANY DAMAGES ARISING OUT OF THE USE OR INABILITY TO USE SHIPTORY BETA SOFTWARE (INCLUDING BUT NOT LIMITED TO LOSS OF DATA OR DATA BEING RENDERED INACCURATE OR LOSSES SUSTAINED BY YOU OR THIRD PARTIES OR A FAILURE OF SHIPTORY BETA SOFTWARE TO OPERATE WITH ANY OTHER PROGRAMS). IN NO EVENT SHALL SHIPTORY TECHNOLOGIES’ LIABILITY EXCEED THE PRICE YOU PAID FOR SHIPTORY BETA SOFTWARE, IF APPLICABLE. 2.4 WE EXPRESSLY REPRESENT THAT SHIPTORY BETA SOFTWARE IS NOT A FINAL PRODUCT AND, AS SUCH, MAY CONTAIN VARIOUS ERRORS, DEFECTS AND IT MAY BE UNSTABLE. WE DO NOT RECOMMEND INSTALLING SHIPTORY BETA SOFTWARE DURING FULL OR EVERYDAY OPERATION. FURTHERMORE, WE DO NOT RECOMMEND TO INSTALL SHIPTORY BETA SOFTWARE UNLESS YOU ARE AN EXPERIENCED USER. SHIPTORY Technologies will not provide any technical support, maintenance or any other services for any SHIPTORY Beta Software. 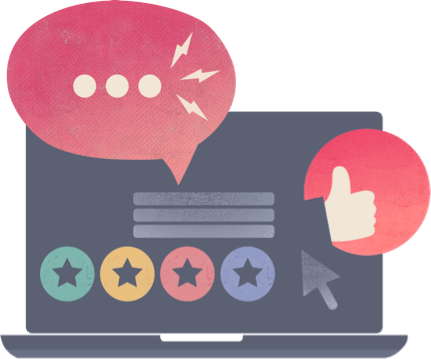 You will give SHIPTORY LLC feedback about SHIPTORY Beta Software consisting of, without limitation, your suggestions, comments or any other feedback, whether it is required or provided on a voluntary basis (“Feedback”). If you provide SHIPTORY LLC with any Feedback, as part of the testing and evaluation of SHIPTORY Beta Software, you agree that: (a) SHIPTORY LLC may freely use, disclose, reproduce, license, distribute and otherwise commercialize the Feedback in any SHIPTORY LLC product, specification or other documentation; and (b) you will not give SHIPTORY LLC any Feedback (i) that you have reason to believe is subject to any patent, copyright, or other intellectual property claim or right of any third party; or (ii) that is subject to license terms that seek to require any SHIPTORY LLC product incorporating or derived from any Feedback, or other SHIPTORY LLC intellectual property, to be licensed to or otherwise shared with any third party. 8.1 SHIPTORY Beta Software, any information relating to beta testing progress and results, the Feedback, any product-related information and any other proprietary technology or know-how provided to you in whatever form by SHIPTORY Technologies through the Beta Portal or in connection with testing and evaluation of SHIPTORY Beta Software is confidential (“Confidential Information”). 8.2 You will keep, and ensure that any and all persons, firms, companies or organizations associated with you keep, all Confidential Information confidential and not disclose it to any person, unless permitted under this clause. This confidentiality obligation does not apply to the disclosure of Confidential Information which: (a) is or comes into public domain, except through breach of the confidentiality obligation under this clause; (b) comes lawfully into your possession from a third party who is not bound by a confidentiality obligation relating to such Confidential Information; (c) is required to be disclosed by any court of competent jurisdiction or any competent judicial, governmental, supervisory or regulatory body, or any law, provided that you will promptly notify SHIPTORY LLC in writing, or (d) is disclosed by you with SHIPTORY LLC’s prior written consent. 8.3 UNDER NO CIRCUMSTANCES MAY ANY INFORMATION ABOUT THE TESTING PROGRESS AND/OR RESULTS BE PROVIDED TO PERSONS THAT ARE NOT INVOLVED IN THE BETA TESTING PROCESS. ANY PUBLICATION OF BETA VERSIONS TESTING RESULTS, REVIEWS OR EVALUATIONS IS ONLY PERMITTED WITH THE PRIOR WRITTEN CONSENT OF SHIPTORY LLC. The governing language of these Beta User Conditions is English. Although SHIPTORY LLC may provide one or more translations for your convenience, the English version shall prevail in the event of any conflict or discrepancy between the English and any other language version of these Beta User Conditions. These Beta User Conditions will be governed by the laws of the State of New Jersey. All disputes arising out of or in connection with these Beta User Conditions shall be finally decided by state or federal courts sitting in the State of New Jersey. These Beta User Conditions (together with the documents to which they refer) contain the whole agreement between you and SHIPTORY LLC relating to the use of The SHIPTORY Beta Software and supersede all previous agreements between you and SHIPTORY LLC relating to it. You acknowledge that in agreeing to these Beta User Conditions you have not relied on any representation, warranty or other assurance except those set out on the Beta Portal. Try the beta version - it's free! I print 51 shipping labels /mo. The perfect solution for an enterprise-level business. Unlimited number of shipments with superb quality of service! Shiptory provides superb service for professionals at all levels. Choose a plan that is suitable for your needs and you can upgrade or downgrade any time you want. Contact us for more information. We will be glad to help you set up your accounts so you can start selling! 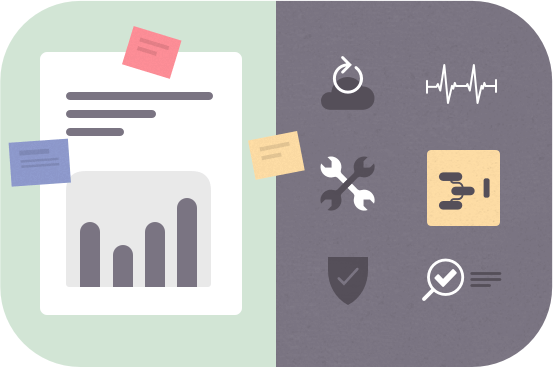 Get all your marketplace accounts on your dashboard with a clear summary of all important data. Oversee all of your SKU sales, dollar purchases, connected inventory, and get notified of important events to take action. With all the advanced tools available for immediate use, you will have the power of a professional seller to manage your marketplace without a hitch. After a one-time shipping settings configuration, Shiptory sets as default all future orders with the same Product ID. 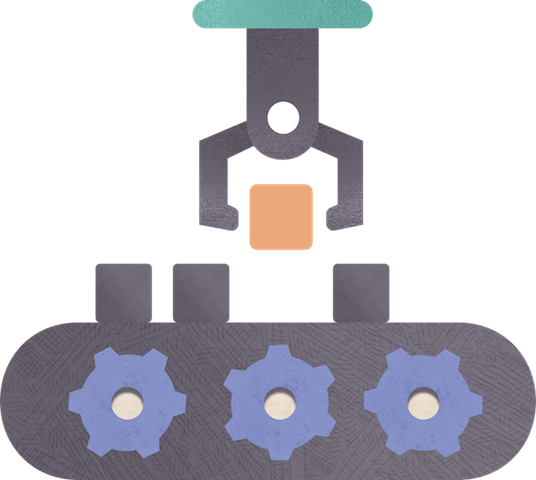 Repeat shipments are automated without the need for adjustments. Just create labels and send them out. Once a shipping setting is confirmed, no more clicking, choosing, or typing names, weights, and addresses. Connect received orders from marketplaces to items in warehouse inventory. Each linked inventory item gets set as a default for the next order. 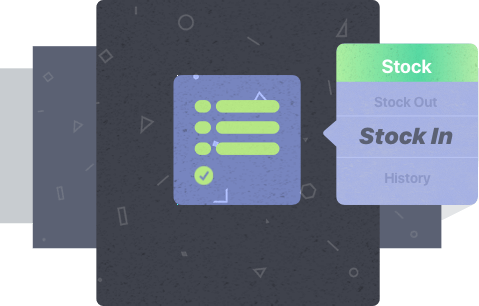 Sync orders with marketplace stores and quickly have control over all of your orders on a single page. Let the system sync orders automatically or do it manually to see incoming orders instantly. 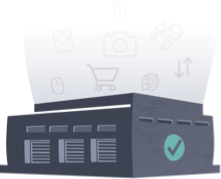 Use the sync button with a focus on individual marketplace stores or synchronize all stores at once for oversight. Customize store names on sidebar to set style of preference. Define shipping settings within orders. Let the system correct addresses or change addresses manually. Change status of order locally. Compare ordered items quantity and items sent. 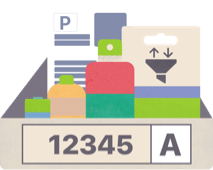 Ship multiple orders or bundled items to the same address piece by piece or as single package. Add notes for internal communication. Process partial shipments under the same order. 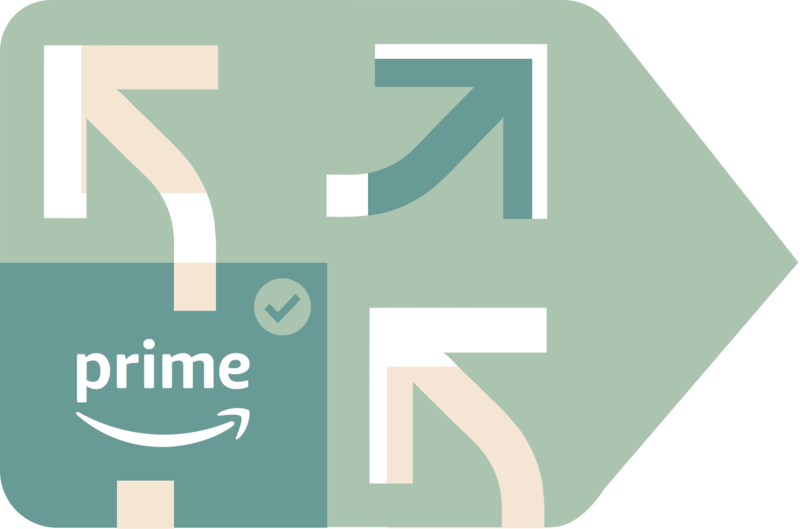 Use Shiptory to fulfill Amazon Prime orders with items from your inventory and track these using the tabs on the Shipping page. 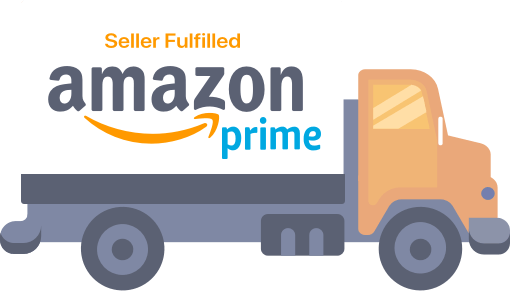 Get real-time updates on shipping methods and view shipping carrier and service options with costs sent by Amazon. Set default settings for future use. See the Seller Fulfilled Prime Order icon next to the order number for quick reference. Shiptory allows you to create search filters from a wide array of criteria and save these as preset tabs for later use. You can edit search presets and run new searches with changed filters as needed. Assign tags, colors, and name presets for easier access. There is no limit to the number of presets you can save. Fulfill orders manually with items from inventory or items from outside. 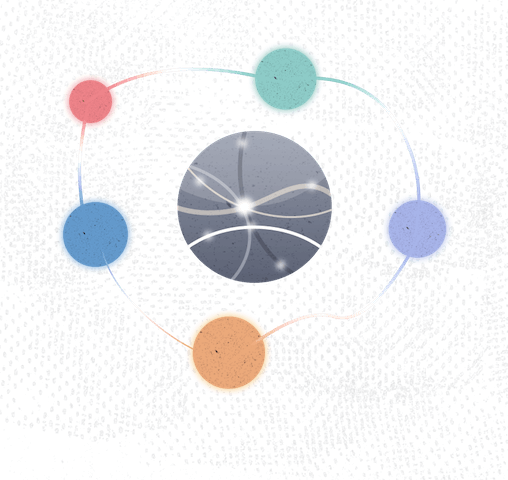 Create free form orders independently without connecting to any marketplace. 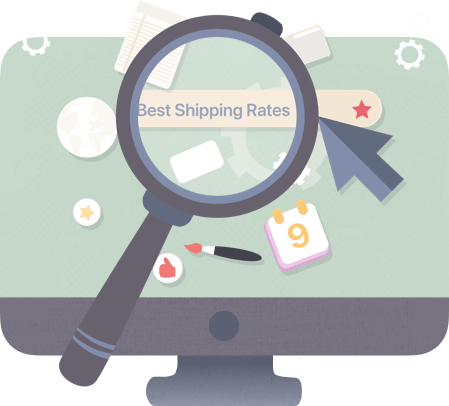 Get shipping rates immediately as you enter the dimensions and weight, and choose the preferred service to send anything out that is not on your orders list. Edit any information on the order anytime. 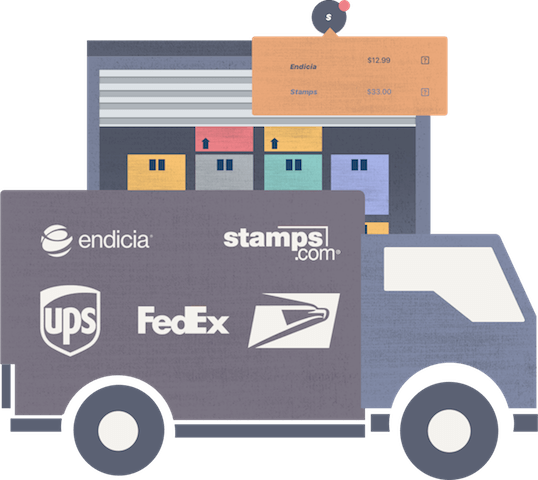 Integrate with major shipping carriers – USPS, UPS, FedEx, Endicia, Stamps – easily. 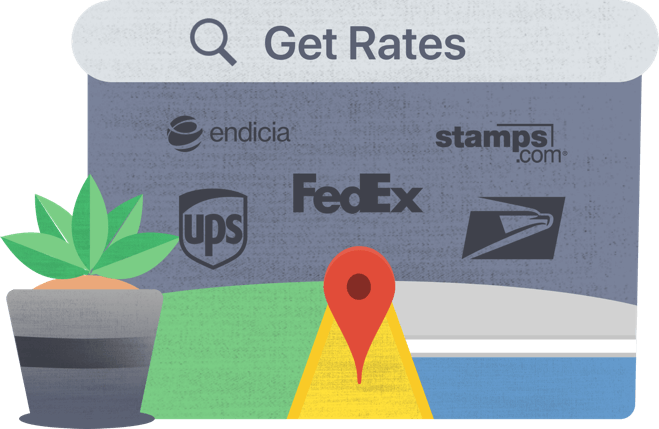 Get the best rates listed for you and compare rates among competitors. Check postage balance and add funds quickly. Create your own address book and use different sender information for multiple warehouses. Assign specific shipping services depending on type of shipment. 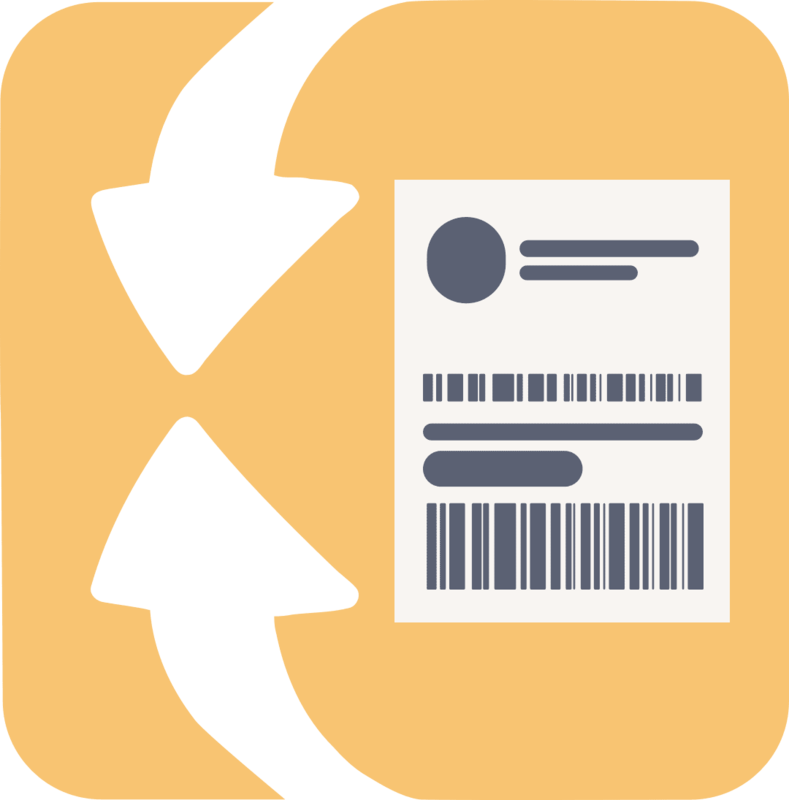 See all shipments, returns, and batch process history using the sidebar. Always know where your shipments are. 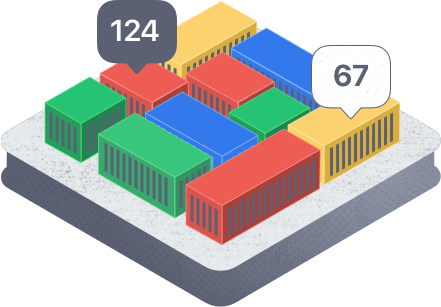 Shiptory gives you total control over your inventory in multiple warehouses that are synced with sales across marketplaces. 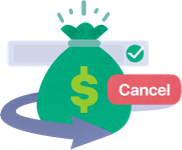 Create bundles easily and track costs to make the right business decisions. Practical and efficient. Shiptory allows the user create their inventory a few steps. You can upload inventory using a spreadsheet or add items on the fly as you process orders and keep your inventory in sync across all sales channels. Enter cost, description, images, and identifiers for each item. Assign bin locations and SKUs for products with ease. Once set, sell as single item or as part of a bundle. 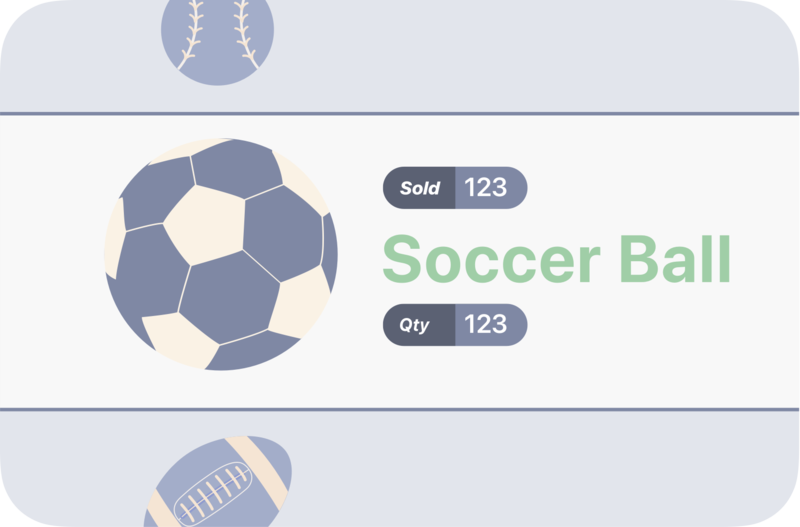 Increase or decrease item counts for each product without a hassle. Follow item counts directly through shipping activity. Link orders to inventory to get status as in stock, reserved, or available. Track your products from the time of receiving to the moment of ship out. Get 1, 3, 7, and 14-day stock movements on your table. Combine multiple products to create a new multi-piece product. Bundled products can be created with the same or related products to boost your sale. Once you create a bundle, you may monitor it in the inventory like any other item. When sold and shipped, Shiptory automatically deducts counts of all SKUs that are part of the bundled product. Shiptory supports a multi warehouse management system. 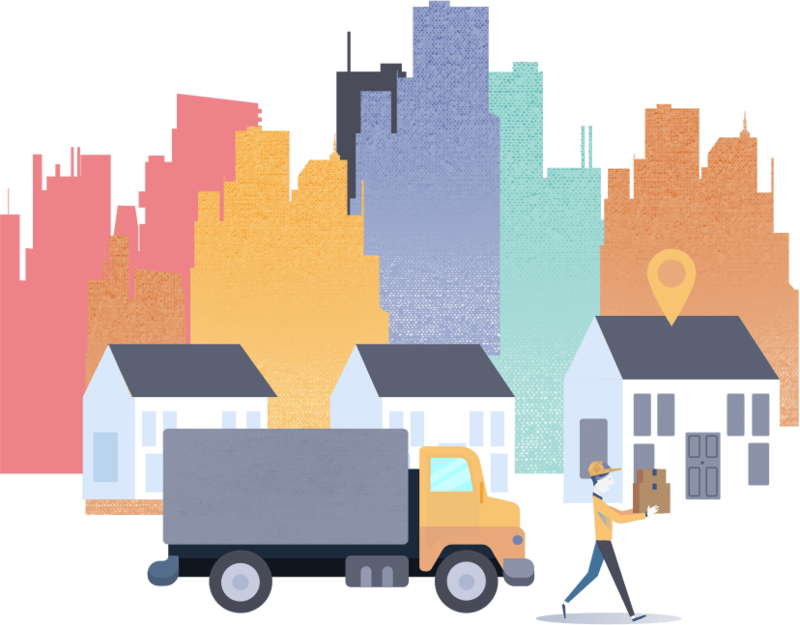 You can set up different addresses and use them as shipping from or return locations. Stock in and out by assigning ship-out locations for inventory items. Control your inventory globally or on a particular warehouse basis. Transfer available inventory within your network of warehouse locations. See all of your stock-in and stock-out movements in a list. You can audit all your inventory and make changes to past stocking entries. Shiptory also tracks your inventory changes per user, so it makes troubleshooting much easier. When needed, you can take action to edit any logs and it directly adjusts inventory levels. See the average value of your inventory and the cost per item to make better business decisions. The average cost is a calculation to analyze data points by creating a series of averages of different subsets of the full data set. This way you will be able to see your items’ total value in your inventory. 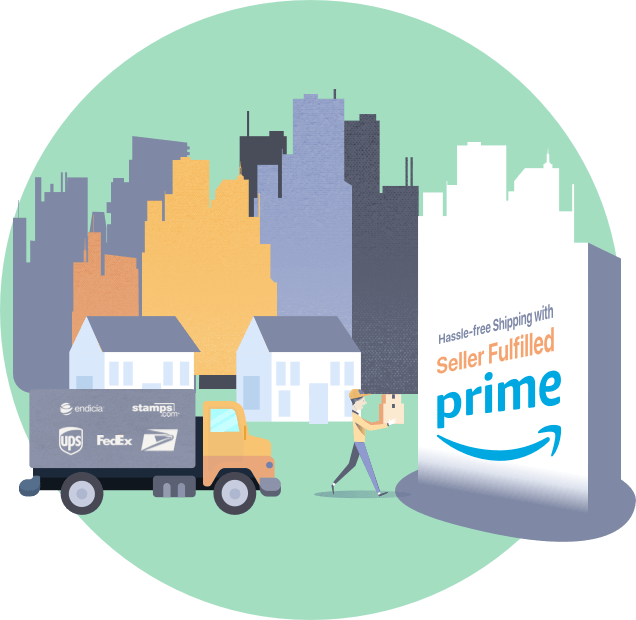 Shiptory is a solution to all your needs both on the merchant fulfillment and the Amazon fulfillment side in a single application. There is no need to integrate another application to monitor your FBA inventory while you work on merchant orders. 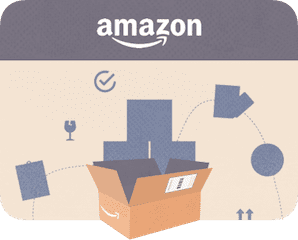 Just set your FBA inventory when you connect with your Amazon store account. 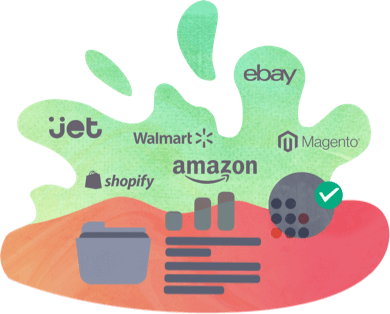 Shiptory has a superb inventory management engine that syncs your stock levels with listings in Amazon warehouses. 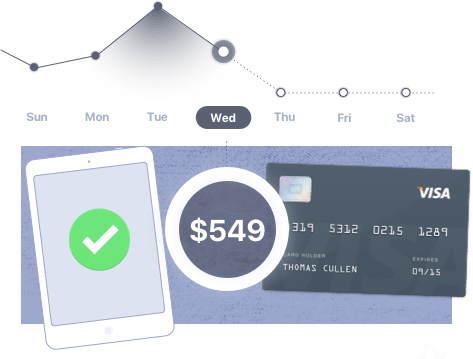 All of your sales automatically update counts in your screen. When an inventory level of a listing falls below a certain number, you will receive a notification to restock. This improves efficiency as there is no need to repeatedly check item stock levels. Shiptory FBA inventory monitors your current stocks and sales volume against your inventory levels. It shows you your sales velocity on last day, 3 days, 7 days and 14 days. You can assign red flags as a suggestion to restock the most urgent items. Each red flagged item you see on the table offers a suggestion on when and how many items you should keep in your inventory. 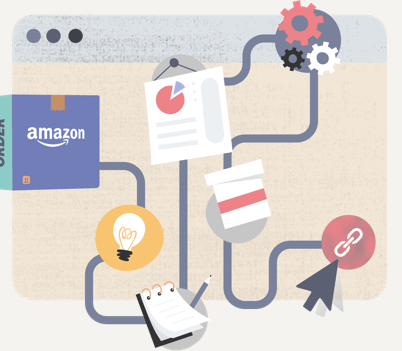 Shiptory tracks all your items’ quantities sold as Prime or moving within the Amazon system. Whether they are on ‘inbound’ transfer to an FBA location or in ‘transfer’ moving between FBA warehouse locations. 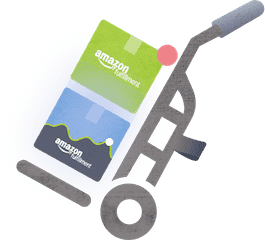 Once the items are sent to an Amazon Fulfillment center, the quantity of items appear in the inbound section in Shiptory until they are accepted by the FBA center. Shiptory gives you a bare view your ASIN inventory at the Amazon FBA fulfillment center. 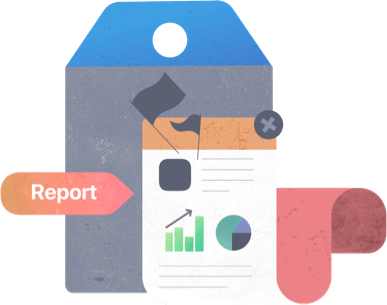 Get an actionable overview of sales history and projected depletion time to prepare for uninterrupted sales. Prevent your listings from being labeled as ‘unavailable’, lose top ranking status. 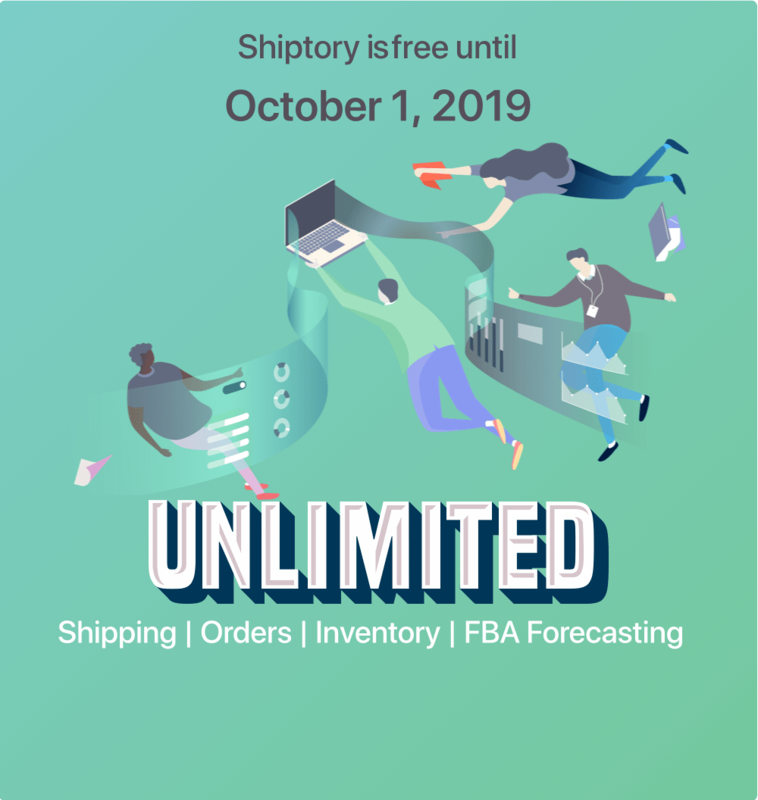 Shiptory does not want to carry any item that would either be out of stock or unnecessary in your FBA inventory. To beware of sending too much, or insufficient quantities of items. 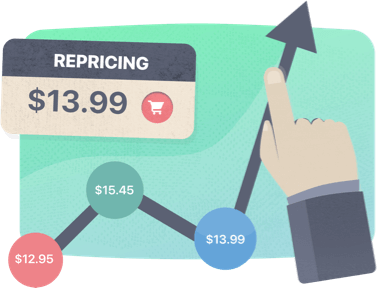 Shiptory predicts your demand depending on your past sales. You will have all the numbers available to organize the right information and make the right decision once you send items to the FBA. Save time and money with the most powerful cloud based shipping software to get the best discounted rates and print labels in a Snap!